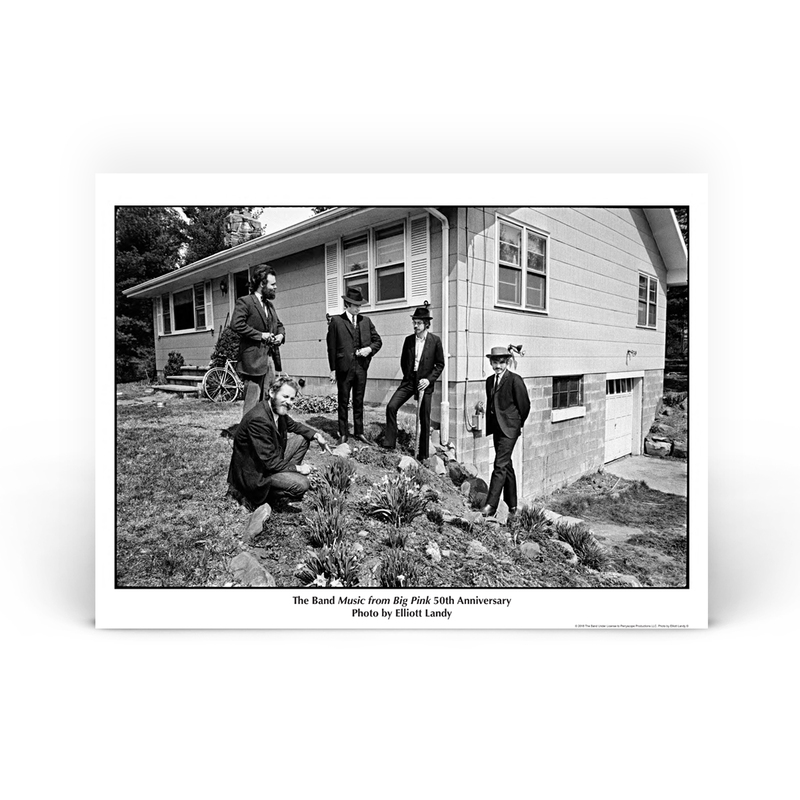 In collaboration with Elliott Landy we are pleased to bring you this exclusive signed Litho print featuring Landy’s photo of The Band in front of Big Pink. It is beautifully printed on an 18* x 24” semi-gloss heavyweight paper. This Litho will only be produced in a limited edition so order yours today! All Lithos will be signed and numbered by Landy and shipped in late July.